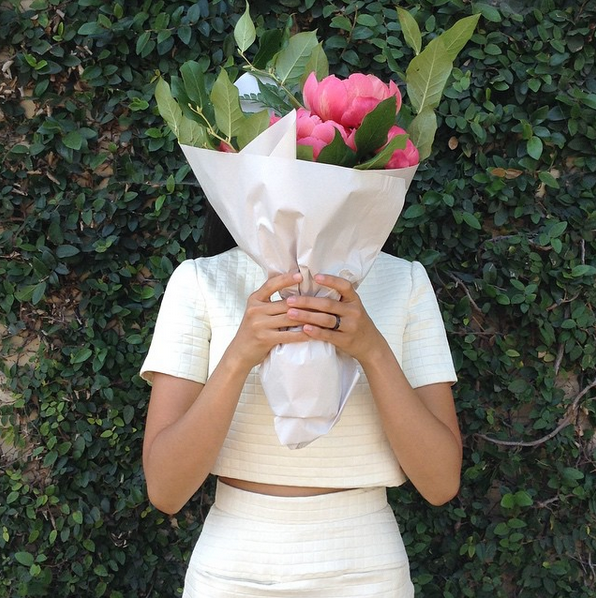 Spring 2015 was inspired by and is dedicated to florists. For this season's collection, I met with Maggie Carson Jurow, a professional florist as part of an inductive study. As a result of the meeting, I was able to interview her to better understand the intricacies and vision behind a florist. It generated a clear perspective for storytelling and inspiration for the collection's merchandise mix. I believe that a genuine voice is vital in storytelling within the fashion industry therefore I believe that the designs of every garment should be inspired by truth and not a design team's own interpretation of the season's inspiration. Appropriately, for the editorial shoot, we reached out to Maggie to set design the shoot with florals and workshop tools. The mission for the brand was to always create a platform for the brand's inspirations and muses to shine. Maggie was able to shine in the Spring 2014 short film where she stars as the main character. "Spring 2015 is dedicated to florists. A gorgeous floral arrangement is the first to catch our eye, often outshining the florist who carefully and skillfully created it. Our spring collection celebrates these behind-the-scenes artisans: women who rise early to collect the freshest blooms, who prune and cherish the most beautiful stems, who aren't afraid to get their hands dirty, and instinctively maneuver the dance between nature's movement and structure." VIVIANCHAN's Spring 2015 Short Film was created with Bradley Alexander to supplement the brand's audience to view the season's inspiration/muse the way we did. A short film allowed for the audience to absorb and understand the brand identity with the guidance of music, mood, visual imagery, and narrative. The short film was then used as original content on the brand's Instagram account, facebook, and the website to promote the inspiration and to show customers how the garments look on different body types which then led to sales. VIVIANCHAN's Spring 2015 collection preview was held at Soho House West Hollywood with a few of the brand's favorite bloggers/influencers - Rachel Nguyen of That's Chic, Olivia Lopez of Lust For Life, Sheryl Luke of Walk In Wonderland, Wendy Nguyen of Wendy's Lookbook, and Hallie Swanson of Hallie Daily, photographer Sisilia Piring of Sisilia Piring Photo, photographer Grant Yoshino, stylist Haley Roemen, stylist Lauren Rodriquez, makeup artist Anthony Nguyen, and Joshua Zad founder of Alfred Coffee. The morning consisted of mimosas and brunch by Soho House, an exclusive screening of the brand's first short film, an exclusive preview of the season's collection, and ended with an interactive flower stall (in alignment with the season's inspiration) where attendees were able to pick out their favorite flowers to have a bouque made for them to take home. To celebrate Mother's Day, a pop-up shop was held at Alfred Coffee during the Melrose Place Farmer's Market. The afternoon consisted of shopping, meeting customers and fans of the brand, free coffee for customers, a farmer's market, and spending time with moms. Shared & Do Good is a boutique whose goal is to "bring you good designs made by great causes that tell amazing stories of hope from around the world". For one weekend, the brand hosted a pop-in shop within the boutique as a way for the brand's customers to shop with the team in person and for the brand to promote the boutique to its social media followers. The brand supports all boutique vendors by working together in promoting the boutique, the line, and shopping. 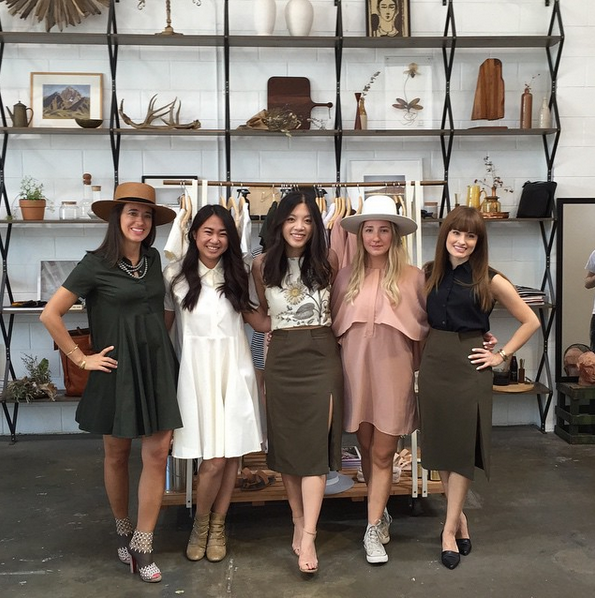 For Spring 2015, the brand hosted Spring Fling, a shopping event at Alchemy Works. After a few successful seasons of carrying VIVIANCHAN on REVOLVE's online store, we teamed up to create a few exclusive pieces to be sold exclusively through revolveclothing.com.